Catton Hall, Derbyshire. Monday, 27 May 2019 at 9:00 AM. Please note: The following tickets have been listed for resale by customers who can no longer attend this event. These tickets will be despatched by the seller who originally listed them. These tickets have been listed for resale by customers who can no longer attend this event. Please ensure that you are aware of the specific terms, conditions and restrictions for this event before purchasing tickets. Show information can be found below and on the primary ticket sales event page. Please note: a 10% resale fee will be added to this order. We offer a free carer ticket for a Personal Assistant if you receive Middle or Higher Rate DLA or the Personal Independence Payment (PIP), are aged 16+ and would not be able to come to the festival without assistance. Scanned proof will be required and all passes issued are subject to the festivals discretion and subject to availability. 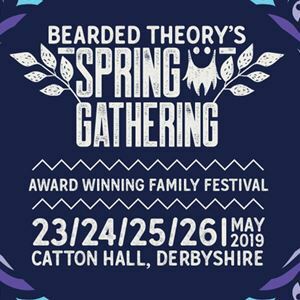 Carer tickets are not allocated to parent/guardians of children aged 16 and under, as all children attending Bearded Theory must be accompanied by a responsible adult/carer. To utilise any of the above facilities or to apply for a carer ticket please contact us via info@beardedtheory.co.uk with the subject line "MAKE MY LIFE EASIER".